I met Lasse during my visit at Knowmads Business School in Amsterdam in 2013. One year later, I met him again in germany, discovering that we are studying at the same university. 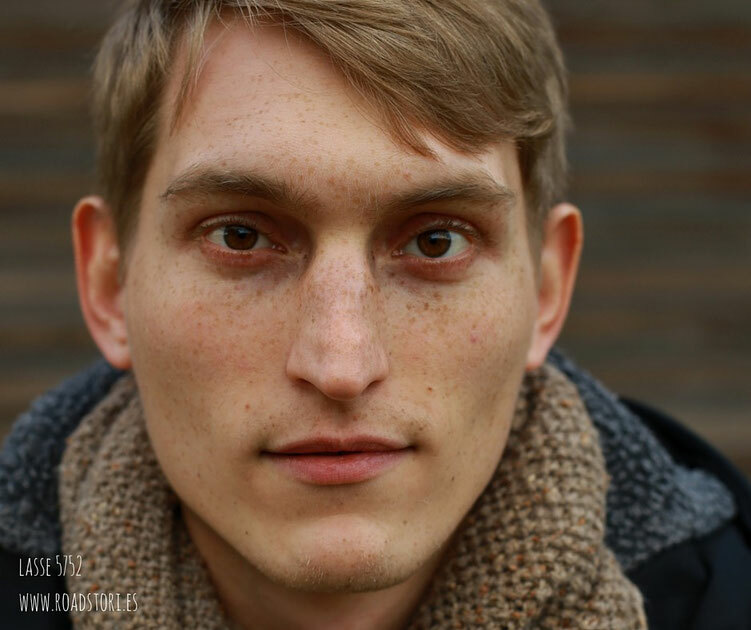 Lasse studies business administration with focus on sustainability and arts & philosophy. Ulrich's question: What do you do, what can you do to make the world more beautiful? Little things. I often smile at strangers (and they smile back). I do these little things you don't notice, which are kind of invisible, but though make a difference. I try to help wherever I can. It really makes me happy when I see people in a state of Flow. When they found something that really makes them flourish, no matter if it is amazing art or a silly hobby. That really inspires me. Seeing this... bliss. And for myself... what makes me happy are mostly unexpected things. For instance, my girlfriend surprised me recently. After we were having a dispute, we had arranged to skype and when I rushed home to be on time, she had come from Amsterdam and was sitting in my room – and I was just speechless. And happy. Since three years, I am moving every two to three months to another room or even another city. Therefore I reduced my material goods to the essential. What I always take with me are my whiskey/gin collection, my cookbooks and my IKEA bed linen. When I have those around, a new place easily becomes home for me. (And if I have a gas stove to cook with). I myself can easily adapt to new people and surroundings, no matter if it's Alfter, Hamburg or Amsterdam. „Connect the dots”… First one: In primary school, I somewhere picked up, that by the time I would leave school, everyone would need Abitur. Most of my family members were self-employed in crafts and no one expected or even wanted me to do a higher degree. I have no idea where I got it from, but I was convinced that I would need Abitur to be able to choose the profession I want to - and I asserted myself. Second point: I had a teacher, who really liked me and pushed me. At some point in the upper school, I got lazy and just did the most necessary things to pass. During a talk, he said to me „Among the blind the one-eyed is the king“. That really was a wake-up moment, because I realized that I didn't satisfy me to be just a one-eyed. And finally, during my graduation time, my mother gave me a business magazine with an article about Knowmads in it and said „You should go there!“ I didn't dare to apply and forgot about it. About one year later at a business dinner, during a talk about my life goals and visions another woman recommended „this business school“ for me. So I wrote to the magazine to get the information. My application got accepted and I spent one year at Knowmads in Amsterdam and learned many personal things about myself and my surroundings. Lasse's question to you: When was the last time you were really proud on something/on yourself and what was it?